Finally, temporary relief from itchy, painful skin rashes! Eczema Rescue contains homeopathic ingredients to soothe and heal skin eruptions associated with eczema and other types of dermatitis. This topical remedy also includes naturalherbs within the formula. c, non-greasy, and paraben free formula. 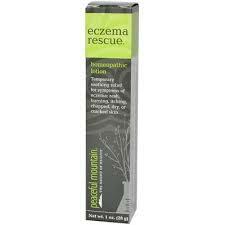 Powerful and fast-acting eczema remedy. Vitamin C, Vitamin E, and White Willow (bark) in a lotion base.